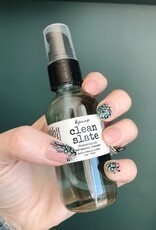 Clean Slate is nontoxic oil cleanser, that will cleanse without stripping skin of precious moisture and hydration, while gently removing even waterproof mascara. 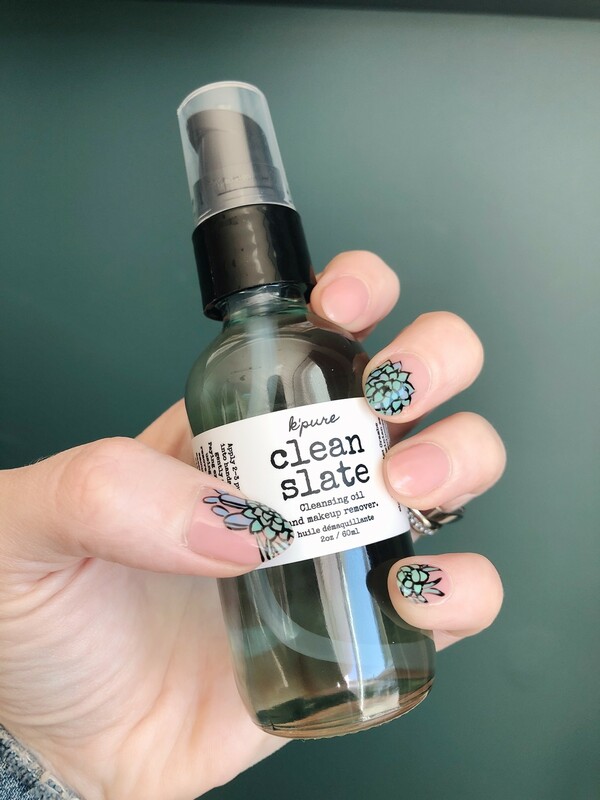 Can be used as a pre-cleanse before your favourite k'pure foaming cleanser to remove makeup and pollutants, or on it's own for super hydrating cleansing. 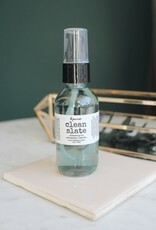 Apply 2-3 pumps of cleanser into hands, rub together and gently apply to dry skin. Paying extra attention to eyes, using downward strokes to remove eye makeup. Add a small amount of water to emulsify, massaging entire face. 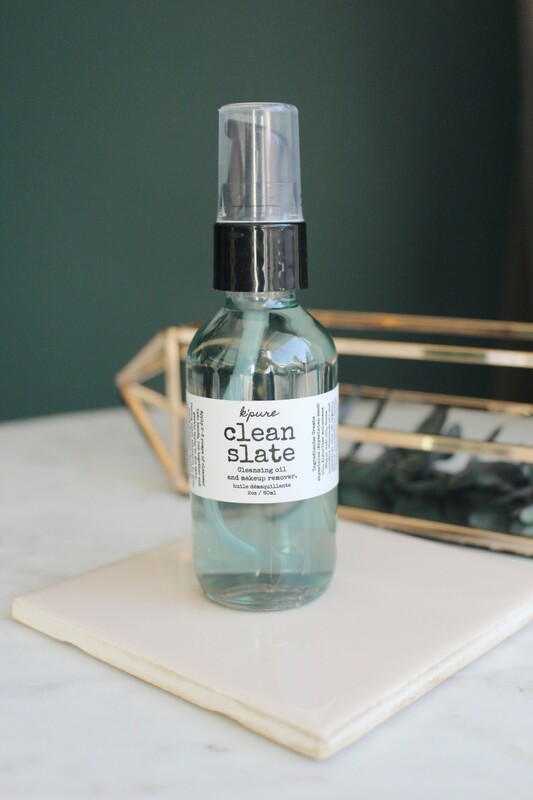 Rinse with warm water and follow with foaming cleanser if needed or skip second cleansing step for extra hydration. Ingredients: Crambe abyssinica (Abyssinian seed) oil, Aleurites moluccana (Kukui nut) oil, Cocos nucifera (Coconut) oil and essential oils of: organic Citrus aurantifolia (lime), Citrus aurantium L (neroli) and Tanacetum annuum L. (Tansy Blue).